Both the side panels are in pink and white leheriya print. The front and back panels are in cream raw silk enhanced in pink print. 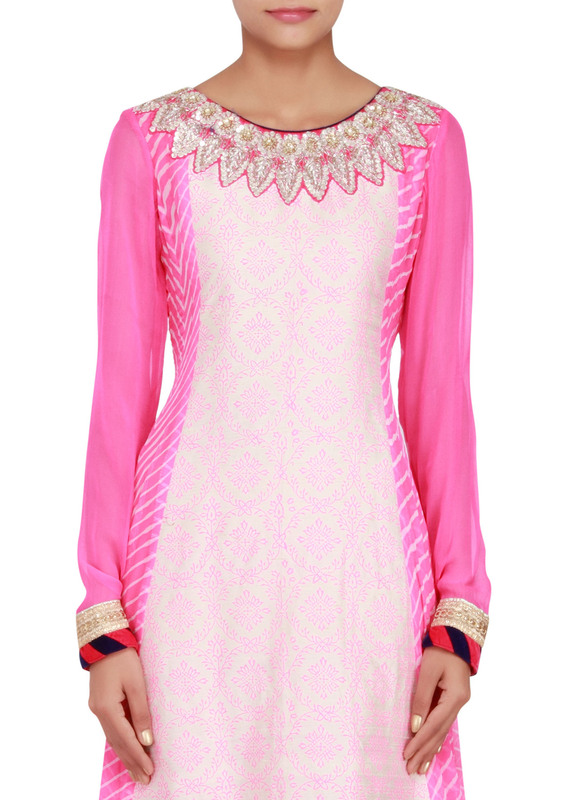 Neckline is round and embellished in sequin and zardosi work. 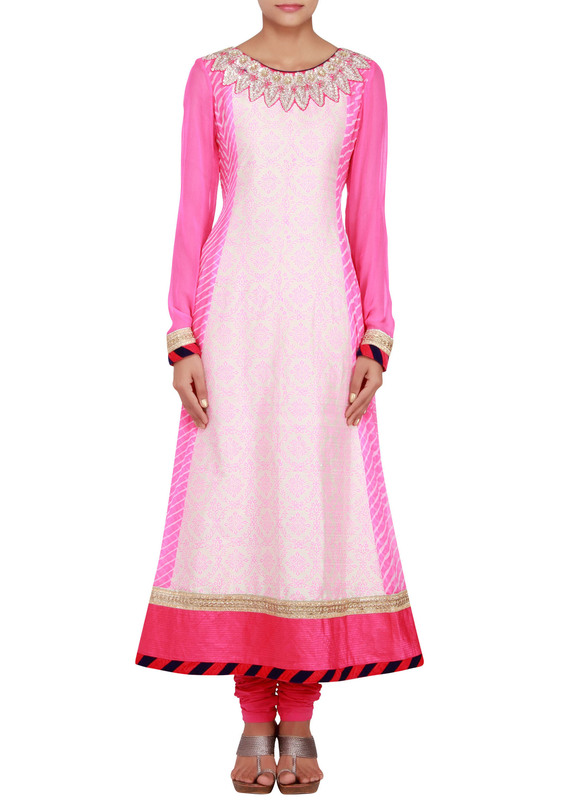 Full sleeves in pink georgette with embellished cuffs in velvet and golld gotta patti. Border in pink raw silk and gotta patti. Hemline in pink and blue striped velvet. 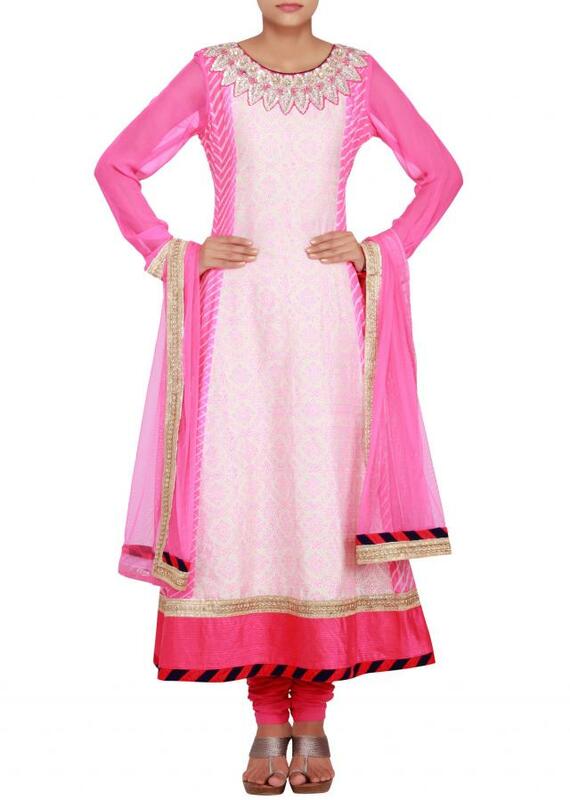 It comes with pink lycra churidaar and pink net dupatta with gold and velvet border.